Strawberry — the new super food?! Now we know why strawberries are so often served with champagne! It’s now been found that strawberries can protect you against alcohol damage!! Consistent alcohol use predisposes us to various health issues, including ulcers and various cancers (between 2% and 4% of cancers are attributed to alcohol). However, new research has indicated that strawberries can help mitigate this damage. To get into the nitty gritty details, European researchers fed rats strawberry extract and then fed them an alcohol diet designed specifically to damage their stomach tissue. They found that those rats’ stomachs that had the strawberry extract were protected compared to those in a control group. That said, strawberries may even be effective protection against various other kinds of stomach-tissue damage! 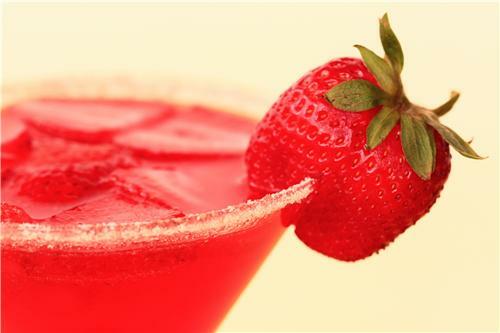 However, it doesn’t suggest that eating strawberries every day can help protect people against hangovers… darn!! What happens if I drink only strawberry daiquiris? !